This G10 Zulu military watch strap is made from 12 oz. washed canvas, strong & durable enough to carry your watches. Military used much cotton canvas to make military equipment, too. 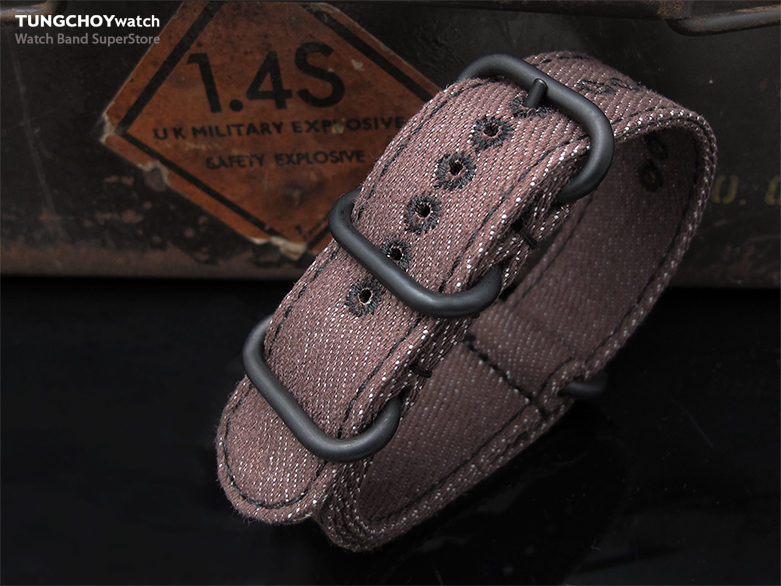 G10 canvas military watch strap flip over design remain the continuity in appearance, approximate 2.0mm to 2.8mm thick, an extraordinary double thickness gives a hefty looks was tight up with three 316L stainless steel ring. Choice of earth tone colors, look excellent on military or classic-looking dive watches. Canvas watch band are securely stitched and holes are reinforced by delicate lockstitch to prevent fraying.